Last November 18, I was invited by Lazada Philippines to get the first dibs as they launched their newest line of international brands as well as its own fashion line called LZD. The blogger and media event was held at R Space in Makati that aims to bridge the distance no matter how far the brands are from the country. The president of Lazada Inanc Balci wanted "Lazada to bridge that gap and provide the best fashion lines for Filipinos"
The event was hosted by Anne-Marie Bodal, Fashion Creative Director at Lazada. She's one of the stylish person I saw during the event, from the way she projected the dress and the shoes she's wearing even if it's all black showed how passionate she is with fashion. 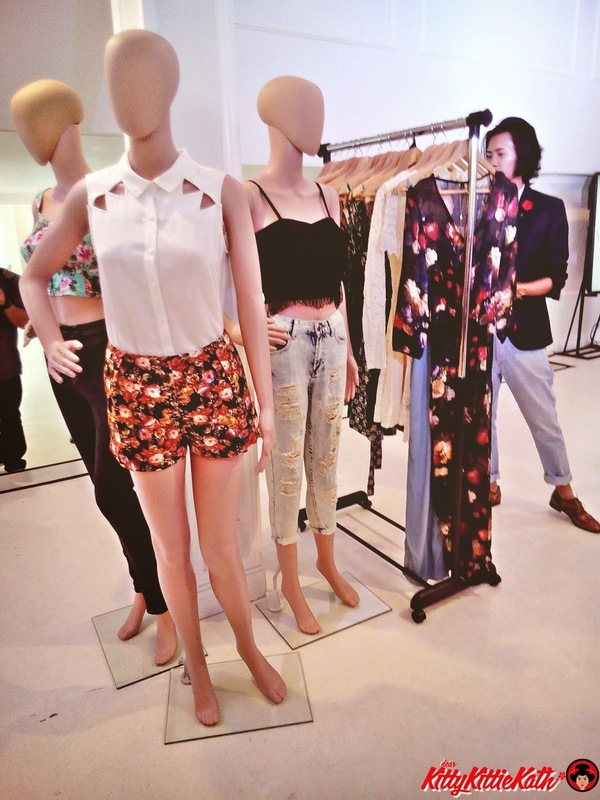 Lazada Fashion Philippines introduced new designs for their in-house label LZD. I honestly was blown away by the designs of this collection because some of the clothes is sooo me!. Excited to see what's in store for you at the new, fun and fierce collection? Click CONTINUE READING and get ready to list your fave designs! LZD is South East Asia's newest fashion brand, it is Lazada Fashion's private label. LZD is a fusion of the hottest trends from the international catwalks, vintage influences and Asian trends. The LZD girl is the trendsetter who wants to mix key fashion styling to create her own signature look. I totally agree with this because when I saw the collection, there are pieces that can be easily mix and matched to key items like tops and bottoms. LZD featured clothes which were designed using Lazada's three-F concept namely Fit, Fabric and Fantastic Value! The concept of Fit showcases the style of the silhouette cutting intended to flatter the Asian Body Type. If you're worrying about long length sleeves like that of American body type sizes, fret not because I saw the proportion of LZD clothes and it really fits to Asian frames. Meanwhile, fabrics are carefully selected in keeping with international styles while at the same time maintaining a South-east Asian Blend. If you'll look closely at the mannequin, you'll think wearing that kind of jacket on a humid country like ours is a no no. But with LZD's fabric, this jacket jumpsuit style will surely make the wearer relaxed and comfortable even in a hot day. The fabric is so soft and doesn't absorb heat. Wearing a stylish jacket on a scorching afternoon? Why not with LZD fashion line! Feeling pretty and feminine on a laid back weekend? LZD fashion line offers those cute and dainty pieces that will surely make a lazy weekend fun and exciting. I bet those satin top and scallop cut shorts will make a good compliment from friends and relatives. Lazada also offers Fantastic value of quality and style at very accessible prices. The prices range from 300- 1800 php, not bad for a brand that offers the three-F concept, right? The photos above shows that with LZD fashion, you can be edgy, feminine and sophisticated at the same time. Lazada has its finger on the pulse of style and fashion. Its aim is to provide the young people of Southeast Asia with up-to-minute designs at accessible prices. I can say this collection is soo me! Sometimes I feel like dressing down and wear comfortable clothes, dresses and a rocker type jeans paired with feminine top or a statement t-shirt. Got a thing with statement shirts? LZD gives unique assortments that you should not miss! Photo above for that edgy chic feel while the photo below for that bohemian babe vibe! All eyes are on the photos above. This is the LZD premium line is what I think visitors during the launch are looking forward to have! This premium line is inspired through fairy tales because we all want to become princess during our childhood right? Glitters, sequins, sparkles and shimmers are all in in this collection. The beauty in this collection is that the pieces are wearable not only in a specific occasion. Some can be worn during girls night out or in a special event like graduation ball and corporate parties. The collection will be out by January so don't miss it dearies! LZD bags and shoes, me wants!!! Aside from clothes, functional and stylish bags are also the products that are worth lusting for at LZD fashion. My eyes were also glued at the shoes. I'll be getting one from the collection and will show you my OOTD wearing LZD fashion line. LZD also introduced Divine Lee, model, TV personality, and blogger, as their newest brand ambassador. Too bad wasn't able to see Mother D. She was chosen by the brand because of her innate sense of style, great personality, and her noticeable presence in online and offline media. Ready to shop? Head on to lazada.com.ph/shop-fashion/ and pick whatever suits your fancy! Wow, Lazada is a glamourous label! This great news for Lazada shoppers since they would have more brands to choose from. Oh wow I didn't know that Lazada has its own line of fashion which is their in-house lable, LZD. I thought the items sold there are just from different merchants that post to sell.